across campus,” said Mount Royal University president David Docherty early afternoon on August 25. When MRU launched its new brand and opened a new chapter for the university. emphasis on uniting the MRU community not only in regards with athletics, but also with the community around it. Cougar brand is indeed a beacon around Calgary and with the new badge, more memories will be created and cherished under a new logo. More people will be proud to present their experience with MRU to other people, both alumni and current students. “This goal with the new brand is to take the pursuit of excellence and commodity and build it into sports teams bottling it up, shaking it around a bit and share it all with you.” Docherty adds. The new brand will create a lasting impact for the future, as Western Canada’s youngest school will now have a fresh new look that will catch the eyes of future opponents for the years to come, especially those close to home in respects to the University of Calgary Dinos. “The new logo is strong, versatile and uniquely identifiable. 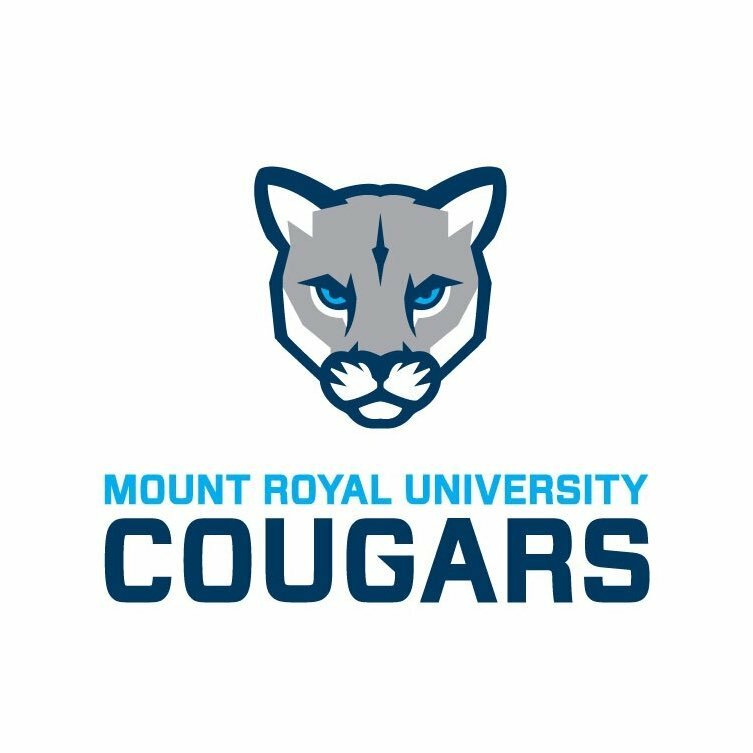 The head on Cougar is determined and focused while the MRU lettering evokes the strong and forward-looking institution.” Rossmann detailed at the conclusion of his speech. Fitterer poked at the Cougars biggest rival who dwells just up Crowchild Trail; jokingly stating, “Just thinking of our friends up the road, we are often pretty close competition in athletics but now that I see us with our new logo, that battle isn’t even close. I anticipate them being very jealous of us looking far better than their funny looking…Dino”. We can all agree our fire looking Cougar looks fresher and more stylish compared to our counterparts old and tattered Dino who might need another extinction so they too can remodel themselves. 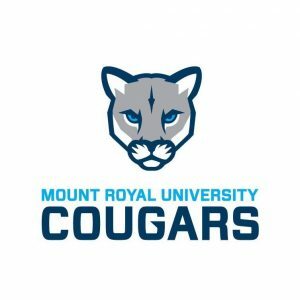 This is MRU’s sixth year as a university and first logo change in athletics since the switch into Canadian Interuniversity Sports (CIS). Women’s Volleyball coach Sandra Lam has been involved with Cougar athletics for 19 years believes it was the right time for a change. 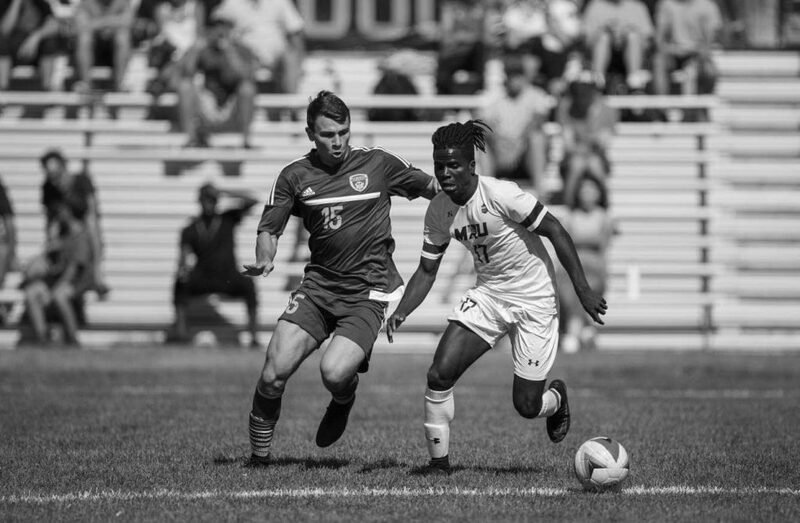 Men’s soccer had the blessing of rocking the new Cougar colors in their opening weekend two weeks before school kicked off. From word heard across the athletics office, the buzz is still there as coaches and their student-athletes are prepared to show off their new colors, already winning on the playing field by looking better than the opposition. Let’s have confidence that with stylish new looks comes even greater success and accomplishments for Cougar athletics on behalf of both present and future Mount Royal Cougars.